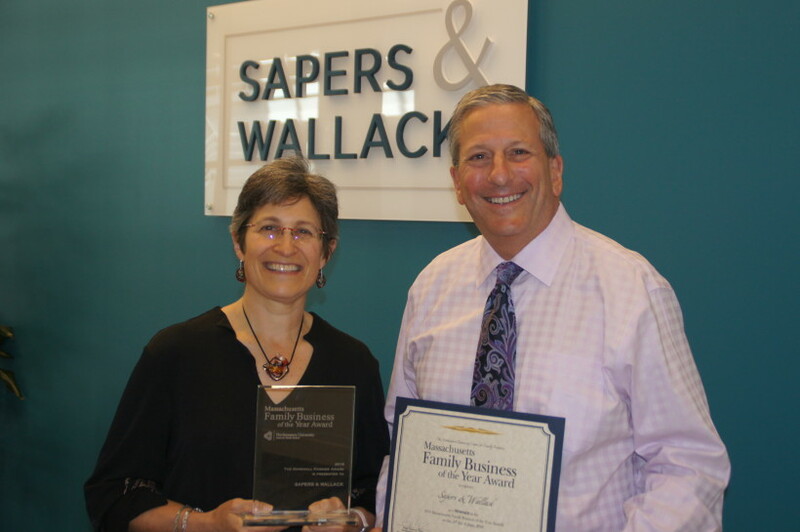 We are thrilled and honored to announce that SAPERS & WALLACK has been recognized as the 2016 Northeastern University’s Massachusetts Family Business of the Year in the Small Firms Category! Congratulations to our whole team for helping to elevate our firm for over 80 years of service in a holistic approach to financial services. Now helmed by the third generation of founding families, it is a great honor to be acknowledged for our passion in the industry and communities we serve. The winners were announced at the 10th annual Massachusetts Family Business of the Year Awards program on June 15, 2016, at the East Village on Northeastern’s Boston Campus. This year’s event was particularly festive as it also celebrated the 25th anniversary of the Northeastern Center for Family Business. Read more about the Family Business Awards.